Make sure the variable isn’t empty. Once I know that the “bestdoctor” variable has a value of some kind, the second if statement checks whether that value is “tennant”. If it is, it displays one message. If the value is anything other than “tennant”, it displays a different message. Note that this is not a secure way to hide content, i.e. putting protected content at example.com/?protected=true does not make it protected. Anyone with the URL (plus the query string) can access the content. It’s rather a way to display different data depending on how someone got to the page in question. I’ll break this down section by section. Start by storing the location string’s value in a variable so you can easily reference it throughout. Then set up an if statement that checks whether the variable is set/not empty, and display page content accordingly. This creates a variable called tax and sets its value based on the location. The first condition in the if statement checks whether any items in the array (Alberta, Northwest Territories, Nunavut, or Yukon) are in the location variable – if they are, the correct tax percentage is 0.05 (5%). For the tax rates that are only true for one province, the in_array function is unnecessary, so you can do a simple == (equal to) check instead. This adds the base price of our two imaginary products (“Large” and “Small”) to their correct tax amounts. Math! The handy number_format function turns the calculated amounts into dollars and cents. If you end up with a number like 57.4875 (hi Quebec! ), this will round it up to 57.49. Finally, display the total prices. No query string? No problem! When the location variable is not set or is empty, instead of displaying the prices we’ll ask the visitor to select a location. Clicking one of these links reloads the same page, but with the appropriate query string appended to the URL. In case you’re wondering… for the sake of brevity, this code assumes you’re charging each province/territory’s full sales tax rate (GST + PST). Usually you wouldn’t do that, but this is a code example, not a tax example! None of this code is actually WordPress-specific! But presumably you’re creating some custom functionality for a specific page with this code, so it should go in one of your theme files. 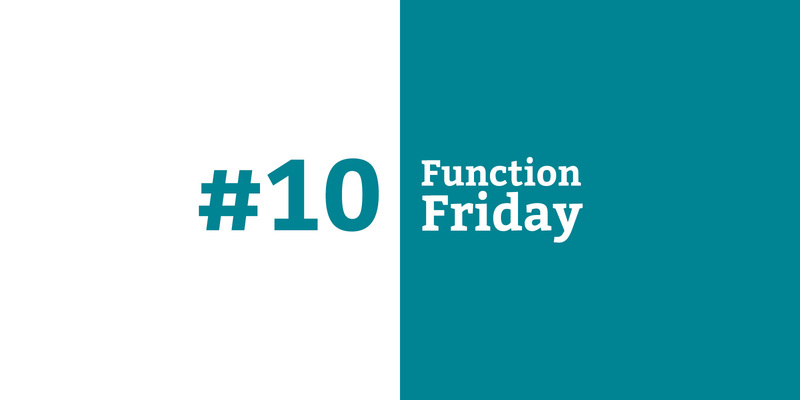 More thoughts on where to put your code is in the first post in the Function Friday series.